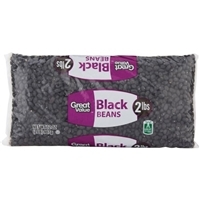 Ingredients: black beans. 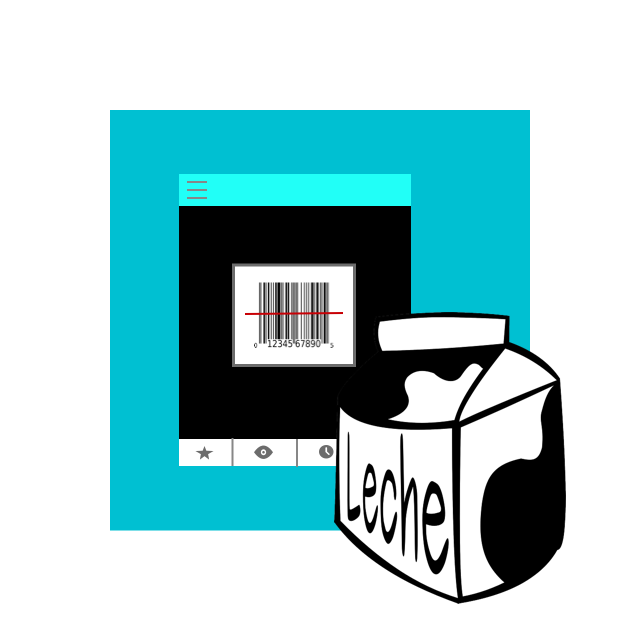 Ingredientes: frijoles negros. 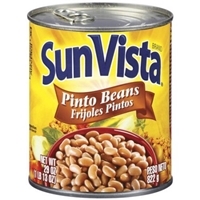 Prepared pinto beans, water, salt, sugar, dehydrated garlic, calcium chloride, disodium edta (for color retention). 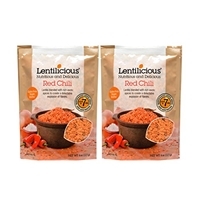 RED LENTILS, SUNDRIED TOMATO, CUMIN POWDER, ONION FLAKES, PAPRIKA POWDER, SEA SALT, RED CHILI FLAKES, LESS THAN 2% SPICES. 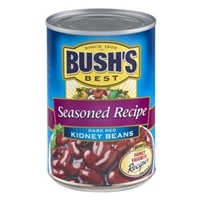 Prepared kidney beans, water, salt, sugar, calcium chloride (firming agent), dextrose, onion, yeast extract, bacon fat and cooked bacon, disodium edta (promotes color retention), garlic, spices, natural flavor. 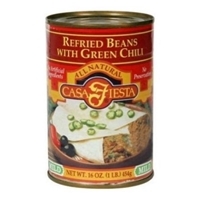 Cooked beans, water, green chili peppers, jalapeno peppers, salt, vegetable oil (cotton-seed) and garlic. 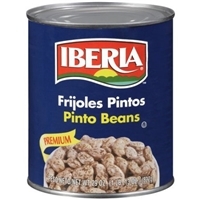 Brand/Manufacturer: Iberia Millbrook Distribution Services Inc.
Pinto beans, water and salt, calcium disodium edta added to promote color retention. 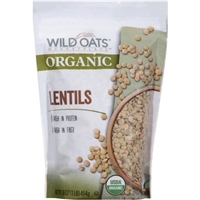 Water, organic lentils, sea salt. 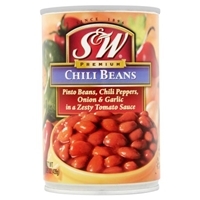 Brand/Manufacturer: S&W Faribault Foods, Inc. 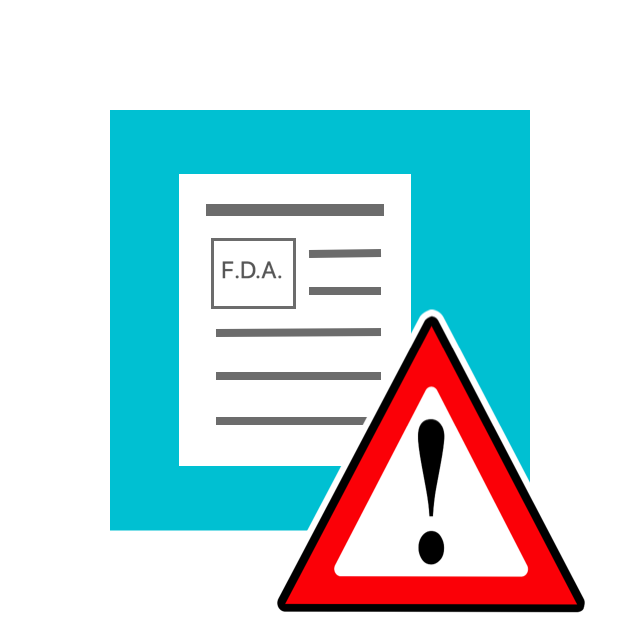 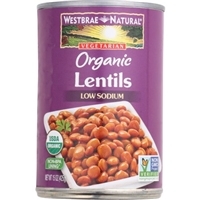 Prepared pinto beans, water, tomato paste, contains 2% or less: sugar, salt, soybean oil, ground chili peppers, dehydrated onion, cumin, dehydrated garlic, calcium disodium edta (to promote color), calcium chloride (firming agent). 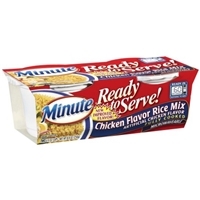 Brand/Manufacturer: Minute Riviana Foods Inc.
Water, parboiled long grain white rice, seasoning [salt, monosodium glutamate, onion powder, hydrolyzed corn and soy protein, sugar, corn starch, garlic powder, maltodextrin, turmeric (color), yeast extract, spice, hydrolyzed yeast extract, cysteine hydrochloride, natural and artificial flavor, less than 2% silicon dioxide added as an anti-caking agent], sunflower oil, yeast extract, gelatin, soy lecithin (emulsifier). 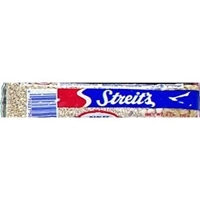 Gluten free.contains: soy. 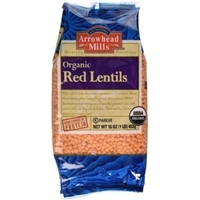 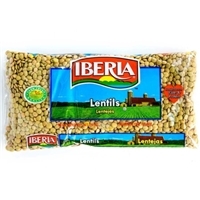 Lentils, yellow peas, enriched macaroni (semolina, niacin, ferrous sulfate, thiamin mononitrate, riboflavin and folic acid), dextrose, salt, paprika, onions, carrots, tomatoes, cottonseed oil, natural flavor, garlic, white pepper.contains: wheat.